They’re Coming. Get Ready. Legacy Five Tickets on Sale NOW! Posted 8:37 pm by Heidi Swander & filed under News. Get Your Booth Brothers 30th Anniversary Tickets TODAY! Posted 9:30 pm by Heidi Swander & filed under News. 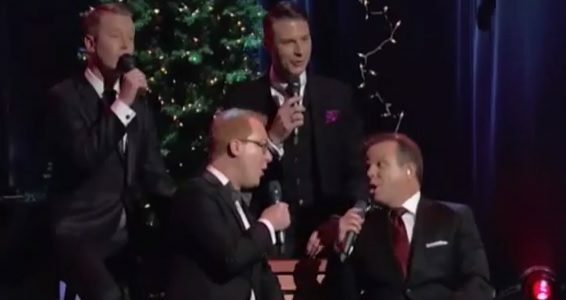 Tribute Quartet Celebrates Christmas with SoGo Fans in Minnesota. Get Your Tickets NOW. Posted 8:05 am by Heidi Swander & filed under News. Posted 8:34 pm by Heidi Swander & filed under News. Posted 7:40 pm by Heidi Swander & filed under News. Posted 7:06 pm by Heidi Swander & filed under News. Posted 8:12 pm by Heidi Swander & filed under News. Posted 7:45 am by Heidi Swander & filed under News. GET YOUR APRIL 2017 BOOTH BROTHERS TICKETS – ON SALE NOW! Posted 8:58 pm by Heidi Swander & filed under News. Every year they come, and every year the crowd gets larger! They are fun, passionate, funny and they love Jesus more than anything. And man, can they sing! GUY PENROD: He’s Coming Back! Tickets NOW ON SALE! Posted 7:25 pm by Heidi Swander & filed under News. No introduction necessary for this tall, striking, country-gospel singer! Folks far-and-wide are familiar with the powerful voice and passionate presentation of Guy Penrod. And this fall, Guy returns to Minneapolis St. Paul.